To my loyal blog readers (all 10 of you), I will be on vacation this next week -- returning Thursday, November 1st (if not sooner). On October 24, 2007, Judge John McBryde, in a one-page order (download here), denied without comment Google, Inc.'s motion to dismiss (Vegas™Esq Blogged here) the trademark infrignement lawsuit filed by American Airlines, Inc. over Google's Adwords program (Vegas™Esq Blogged here). See American Airlines, Inc. v. Google, Inc., Case No. 4:07-cv-487 (N.D. Tex.). So the court determined, at least at this stage, that American Airlines' complaint does state a claim upon which relief can be granted. I wonder if Eric Goldman over at the Technology and Marketing Law Blog will have any comments. (His comments on the American Airlines complaint be found here). Farouk seeks to flatten eBay sellers of counterfeit CHI products with trademark infringement lawsuits. After seeing Farouk Systems, Inc. (“FSI”) file fourteen separate trademark infringement lawsuits over the last few months, my curiosity got the best of me and I downloaded one of the complaints to ascertain the nature of the dispute. See Farouk Systems, Inc. v. Reginald Johnson, individually and d/b/a flocko1010, Case No. 4:07-cv-03454 (S.D. Tex.) (click here to download the complaint). FSI owns several trademark registrations for the mark CHI for electric hair curling irons and electric hand-held dryers. FSI also has several other applications pending including CHI for hair coloring preparations, CHI NANO for various hair irons, CHI for hair care products, and ULTRA CHI for electric hand-held hair dryers. FSI has been using the CHI mark since 2001 (according to its first registration) in the promotion of its products to the hair care industry. FSI is suing Johnson to stop him from selling hand held electric hair irons bearing the CHI registered trademark, but which FSI claims are counterfeit and do not originate from FSI. Defendant sells his products through eBay. Click here to see his eBay Store. 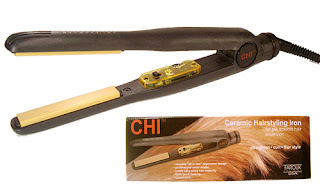 He sold a CHI Hair Straightening Iron as recently as 8:33 am today (October 24, 2007) – see eBay Item # 150164617820. You can also see a list of his recent CHI-related transactions by viewing his feedback here (no negative feedback to date – unless you count this lawsuit). FSI alleges trademark infringement and unfair competition under both Section 32 (15 U.S.C §1114) (unauthorized use of a registered trademark) and Section 43 (15 U.S.C §1125) (use of a trademark in such a manner likely to cause confusion as the source of the goods). FSI also alleges trademark infringement and unfair competition under Texas common law and trademark dilution under the Texas Anti-Dilution Act (Tex. Bus. & Com. Code § 16.29). In addition to seeking injunctive relief to stop Johnson from selling these allegedly counterfeit CHI products, FSI is also seeking actual and consequential damages, profits, treble damages, and costs and attorney’s fees. So, based on a review of this complaint, FSI’s otherlawsuits are likely to be of a similar nature – FSI seeking relief in federal court against eBay sellers (and other online sellers) of knock-off CHI products. Several news stories ran today (here, here, here) after NuVision U.S., Inc. (“NuVision”) issued a press release on Monday publicizing that it had filed a trademark infringement lawsuit against Panasonic Corporation of North America ("Panasonic") on October 8, 2007, in the U.S. District Court for the District of Arizona. See NuVision USA [sic], Inc. v. Panasonic Corporation of North America, Case No. 2:2007cv01916 (D. Ariz.). NuVision produces custom high definition home entertainment systems. According to NuVision, since the company’s inception in 2005, it has been using the mark “High Definition Living” in connection with its customer home theater systems. NuVision filed a Section 1(a) use-in-commerce application on December 7, 2006, to register the mark HIGH DEFINTIION LIVING (for home theatre products) claiming first use in commerce on March 2, 2005. The mark was registered on October 9, 2007 (“high definition” disclaimed). At issue is a new program announced by Panasonic on August 1, 2007 (press release here) named “Living in High Definition.” Panasonic describes the program as one that will explore how the latest High Definition television and video technologies can enrich the American lifestyle. Panasonic plans to choose 30 families to live with $20,000 worth of High Definition consumer electronic products, who will be asked to record their experiences with the HD products (using, of course, high-def video recorders), the footage of which will be broadcast online and later incorporated into a documentary. Panasonic is using the program to help study and understand how families change when exposed to these HD products. In response to the lawsuit, and coincidentally on the same day that NuVision issued its press release (October 22, 2007), Panasonic filed a cancellation proceeding with the Trademark Trial and Appeals Board. See Panasonic Corporation of North America v. NuVision U.S., Inc., Cancellation No. 92048285. Panasonic’s argument for cancellation of NuVision’s HIGH DEFINITION LIVING mark is that “high definition” is merely descriptive of the nature of the goods covered by the registration and the word “living” in such context refers to the lifestyle of the users of NuVision’s products. Citing several internet articles discussing “high definition (or HD) living,” Panasonic argues that the composite mark of “high definition” with “living” is descriptive as describing a lifestyle which incorporates the use of high definition consumer electronics. In other words, Panasonic is arguing that NuVision’s combination of descriptive terms does not evoke a new and unique commercial impression, and instead each component retains its descriptive significance in relation to the goods or services, and thus the combination is itself a descriptive composite. See MPEP 1209.03(d). I’m a little surprised that Panasonic is going through the trouble of pursuing a cancellation of the mark rather than just changing the name of its “program.” Some alternative titles that I think work just as well -- “Living in the World of High Definition” or “Life in High Definition.” Unless, of course, Panasonic was planning on using the “Living in High Definition” as a future marketing slogan in conjunction with its consumer electronic products. Or maybe the amount of money Panasonic had invested in the name so far is substantial enough that it was cheaper to file the cancellation in order to get some leverage against NuVision so that a co-existence agreement can be negotiated. Or maybe Panasonic does not want to be prevented from using what it believes is a common phrase in its future marketing efforts. One would think that NuVision would have a greater problem with the trademark registration held by Avodah Publishing, Inc. for HIGH DEFINTION LIVING for magazines (registered January 9, 2007, ITU application filed April 19, 2005, first use in commerce July 17, 2005) (“Living” disclaimed). Of course, the fact that Avodah is not currently publishing a magazine under such a name may explain any lack of concern on NuVision’s part. Instead, Avodah is publishing a magazine named HDTV Etc. (which if it were called HIGH DEFINITION LIVING would seem to cause a greater likelihood of confusion than Panasonic's propose name). In the trademark infringement lawsuit brought by Lulu Enterprises, Inc. (lulu.com) against N-F Newsite, LLC (a/k/a hulu.com) (see prior Vegas™Esq post here), the District Court, on Friday, October 19, 2007, denied Plaintiff Lulu’s request for a preliminary injunction against Defendant Hulu. See Lulu Enterprises, Inc. v. N-F Newsite, LLC, Case No. 5:7-CV-347-D, Document 116 (E.D. N.C.) (download order here). whether the injunction would serve public interest. See Direx Israel, Ltd. v. Breakthrough Med. Corp., 952 F.2d 802 (4th Cir. 1991). While the court also set forth the Fourth Circuit’s seven factor test for determining likelihood of confusion in order to assess Lulu’s unfair competition claim (see CareFirst of MD., Inc. v. First Care, P.C., 434 F. 3d 263, 267 (4th Cir. 2006)), the court determined that such analysis was not necessary because Plaintiff’s asserted harm was not actual and imminent. The mere existence of irreparable harm is not enough – the plaintiff must make a clear showing of irreparable harm that is actual and imminent. Lulu’s argument of irreparable harm rested on the premise that Hulu was intending to enter Lulu’s line of business. Lulu cited to Hulu’s intent-to-use trademark application, but the court rejected the long list of goods and services set forth in Hulu’s registration application, instead reinforcing that what matters is how the marks are used in the marketplace. Lulu also cited to a Hulu’s responses to discovery interrogatories as well as statements by Lulu representatives during depositions. However, the court felt that this evidence was outweighed by other sealed evidence as well as Hulu’s statements at oral argument which indicated that Hulu’s plans “are very narrow and are limited exclusively to making big-budget feature TV and movie content available for its user.” Order at 7. In short, the court believed that Hulu did not intend to enter Lulu’s line of business (internet self-publishing) once Hulu fully launched its website, and thus faces no actual or imminent harm from Hulu’s business. The court did emphasize, however, that this decision to deny the injunction under the unfair competition claims was based strongly on Hulu’s good-faith assurance about what its website will and will not contain, and the court intends to hold Hulu to its word. The court also denied a preliminary injunction based on Lulu’s cyberpiracy claims on the grounds that Plaintiff could not show bad faith on the part of Hulu in choosing the URL hulu.com. The Colorado Rockies wasted no time in filing several applications with the USPTO for registration of the mark ROCKTOBER. Click here for the ESPN story. On October 4, 2007, Colorado Rockies Baseball Club, Ltd. filed four separate Section 1(b) intent-to-use applications on the mark ROCKTOBER (for various clothing items, various paper goods and other printed matter, toys and sporting goods, and, of course, entertainment services, including baseball games). The applications were filed two days after Colorado Governor Bill Ritter officially declared the month of October 2007 to be “Rocktober” to honor the team’s remarkable run to the Major League Baseball post-season. Click here to read the press release and the Governor’s official proclamation. While the expediency at which the Colorado Rockies jumped on the opportunity to seek registration of the mark for its own benefits, one wonders if the filing was done merely to get an effective filing date before some other opportunist did or if the Rockies really have a marketing plan in place to take advantage of a phrase that really only seems apropos when and if the Rockies make it to the baseball playoffs (unless the team anticipates cherishing this month in the team’s history for the indefinite future). Regardless, the Colorado Rockies may not face too many hurdles for three of the four application. However, with respect to the application for “entertainment services,” the Rockies may be confronted with the numerous public examples where this name has been used in conjunction with rock concerts held in October. For example, Q104.3 in New York apparently has a concert series for the entire month of October named "Rocktober." (blog link here). In addition, the Hard Rock has a breast cancer awareness campaign named “Rocktober.” (click here for press release). In addition, it will be interesting to see what, if anything, happens to the intent-to-use application filed by Activision Publishing, Inc. on August 18, 2007, for the mark LEGENDS OF ROCKTOBER for computer games. Probably nothing given the different classes of goods and the additional word “LEGENDS," but you never know how a trademark eamining attorney or how the Rockies may react to such a mark being registered. Finally, the luckiest person in all of this is Randy Reiss. Who is Randy Reiss you ask? He is the man who purchased the domain name http://www.rocktober.com/ back in June 1999. Even if the Rockies get their trademark registrations, they will not likely be able to use the remedies under 15 U.S.C. §1125(c) to force him to turn over his domain name. Anybody want to speculate on who he will be supporting in the World Series? Rock on Randy! The Ninth Circuit Court of Appeals overturned a district court’s decision to dismiss a trademark declaratory judgment action for lack of subject matter jurisdiction. See Rhoades v. Avon Products, Inc., No. 05-56047 (9th Cir. October 15, 2007) (decision here). Since 2001, Avon Products, Inc. (“Avon”), which sells a skin-care product line called ANEW, has filed oppositions to five of DermaNew’s applications (Opposition Nos. 91121754, 91151696, 91160851, 91160985, and 91162392) and filed cancellation proceedings against two of DermaNew’s registered marks (Cancellation Nos. 92043538 and 92043601). See also three additional oppositions (91171771, 91171772, and 76477667) initiated by Avon since the original lawsuit was filed. Avon has pursued similar opposition and cancellation proceedings against DermaNew in other countries, including Brazil, Canada, Hong Kong, Israel, South Korea, and the European Community. (Interesting to note that Avon’s registered trademark for ANEW, which was the basis for its original opposition, was subsequently cancelled for failure to file its Section 8 and Section 9 declarations). The parties began contentious settlement talks that went on four years without resolution. According to DermaNew, at one settlement conference, Avon’s in-house counsel threatened a trademark infringement action if DermaNew did not get rid of all of its products within 60 days. A letter sent by Avon’s counsel in 2001 after the first TTAB proceeding had been initiated threatened to proceed with the pending proceeding and initiate whatever additional proceedings or litigations is necessary to protect Avon’s trademarks. Finally, on March 22, 2005, Avon’s counsel informed DermaNew’s counsel that Avon would not give up its right to damages unless DermaNew accepted Avon’s proposed settlement. On March 24, 2005, DermaNew filed a complaint in the U.S. District Court for the Central District of California, seeking a declaratory judgment under 28 U.S.C. § 2201 that its trademark applications and registrations do not infringe on any of Avon’s trademarks. Avon responded with a motion to dismiss under Federal Rules of Civil Procedure 12(b)(1), arguing that the district court lacked subject matter jurisdiction because DermaNew had not stated a case or controversy, or alternatively, under 12(b)(6), arguing that the court should decline to exercise jurisdiction because the action was brought in bad faith. The Court of Appeals reviewed de novo the district court’s dismissal under Rules 12(b)(1) and 12(b)(6), presuming as true all facts alleged in the complaint. Holcombe v. Hosmer, 477 F.3d 1094, 1097 (9th Cr. 2007). The district court’s decision not to hear a declaratory relief action is reviewed for abuse of discretion. Wilton v. Seven Falls Co., 515 U.S. 277, 289-90 (1995). The court initially noted that since Avon’s motion to dismiss was based entirely on the argument that DermaNew had not satisfied the “cases or controversy” requirement and since a motion to dismiss on such grounds can only be brought under Rule 12(b)(1), the court construed the district court’s ruling as based solely on Rule 12(b)(1). Under Article III of the U.S. Constitution, federal courts may adjudicate only actual cases or controversies. See U.S. CONST. art. III, § 2, cl.1. The requirement of a true case or controversy ensures that a judgment from a federal court faced with a claim for a declaratory judgment is not simply rendering an advisory opinion. See Pub. Serv. Comm’n v. Wycoff, Co., 344 U.S. 237, 244 (1952). The court, citing Hal Roach Studios, Inc. v. Richard Feiner & Co., Inc., 896 F.2d 1542, 1555-56 (9th Cir. 1990), stated that an action for a declaratory judgment that a trademark is invalid or that a plaintiff is not infringing another party’s trademark presents a case or controversy if the plaintiff has a real and reasonable apprehension of being subjected to liability if the plaintiff continues to sell his goods or services. The court analyzes this apprehension from the plaintiff’s perspective to determine if the threat perceived by the plaintiff was real and reasonable. See Cheesebrough-Pond’s, Inc. v. Faberge, Inc., 666 F.2d 393, 396 (9th Cir. 1982). The court concluded that DermaNew sufficiently alleged the required real and reasonable apprehension necessary for Rule 12(b)(1). While the court noted that concrete threats are not required under the Ninth Circuit’s “flexible approach” (unlike the Federal Circuit’s approach, which requires places a heavier burden on plaintiffs to show an explicit threat or other action), the court nonetheless found the above alleged threats by Avon’s counsel to be sufficiently concrete. The statement by Avon’s counsel that the company would pursue a trademark infringement action if DermaNew did not get rid of all of its products within 60 days was an explicit threat. Avon had already filed all of the TTAB actions that it could, and a federal infringement action would be the only other “additional” litigation that could be pursued. Finally, Avon’s reference to damages must refer to an infringement action because the TTAB cannot award damages. After all, the TTAB’s powers are limited to determining and deciding rights with respect to trademark registration (see 15 U.S.C. §§ 1067(a), 1063(a), and 1064), while a federal district court can determine registration rights (15 U.S.C. § 1119) as well as trademark infringement (15 U.S.C. § 1114) and may grant injunctive relief (15 U.S.C. § 1116) and award damages (15 U.S.C. § 1117). All of these threats were made after Avon had initiated seven actions in the TTAB, and the last threat made after years of unsuccessful and tense settlement negotiations. Under these circumstances, the court found that DermaNew’s apprehension of being subjected to liability was more than reasonable: “DermaNew thus had good reason to worry about the stability and profitability of its product lines, and to suspect that Avon would make good on its threats and seek hefty damages for any infringement.” Slip op. at 13954. The court brushed aside Avon’s arguments regarding bad faith, finding Avon’s evidence as either irrelevant or de minimis. If anything, the evidence of the long-running settlement negotiations demonstrated DermaNew’s good faith attempt to resolve the matter and suggest that DermaNew filed the action after settlement negotiations had stalled out of fear of an infringement lawsuit by Avon. Avon argued that DermaNew’s evidence of threats were a) “wholly fabricated” and b) were privileged and cannot be admitted as evidence by the court because they occurred during the course of settlement negotiations. In response to Avon’s arguments that DermaNew’s allegations are “wholly fabricated,” the court reminded Avon that the court must accept DermaNew’s version of events as true for the purposes of establishing jurisdiction and surviving a 12(b)(1) motion. With respect to Avon’s privilege argument, the court reminded Avon that the plain text of Rule 408 states that evidence from settlement negotiations may not be considered in court when offered to prove liability for, invalidity of, or amount of a claim that was disputed as to validity or amount, or to impeach through a prior inconsistent statement or contradiction. The court stated “Rule 408 is designed to ensure that parties may make offers during settlement negotiations without fear that those same offers will be used to establish liability should settlement efforts fail. When statements made during settlement are introduced for a purpose unrelated to liability, the policy underlying the Rule is not injured.” Slip op. at 13960. The court held that DermaNew’s complaint did allege a case or controversy, and therefore the district court did have subject matter jurisdiction to hear the case. As such, the district court erred in dismissing the case under 12(b)(1). Because the district court at the oral hearing on the motion to dismiss stated that the complaint “should be back where it belongs and be finished there [in the TTAB]” and therefore was “not exercising . . . discretion to undertake the declaratory judgment action,” the Ninth Circuit took this statement to be an invocation of the doctrine of primary jurisdiction as a basis for declining to hear the case. The court, citing United States v. Culliton, 328 F.3d 1074, 1081 (9th Cir. 2003), described the primary jurisdiction doctrine as follows: “The primary jurisdiction doctrine provides: When there is a basis for judicial action, independent of agency proceedings, courts may route the threshold decision as to certain issues to the agency charged with primary responsibility for governmental supervision or control of the particular industry or activity involved.” Slip op. at 13962. The court cited with approval cases in the First and Second Circuit which had already addressed the issue of whether a district court should defer, on primary jurisdiction grounds, a trademark declaratory relief action pending the completion of related TTAB proceedings. See PHC v. Pioneer Healthcare, 75 F.3d 75 (1st Cir. 1996); Goya Foods, Inc. v. Tropicana Prod., Inc., 846 F.2d 848 (2d Cir. 1988). Both Circuits held that the primary jurisdiction doctrine does not justify deferral by a district court in such cases. The court embraced the reasoning from those two decision, concluding that: “Allowing the district court to decline a declaratory relief action on a primary jurisdiction rationale is sensible only if the agency is better equipped to handle the action. Here, however, Congress has not installed the PTO as the exclusive expert in the field. As noted, parties may litigate these issues in federal court without previously exhausting their claims before the TTAB. See, e.g., 15 U.S.C. § 1071(b)(1).” Slip op. at 13962. The court focused on the fact that the TTAB’s proceedings regarding the registration rights of trademarks would not preclude a subsequent infringement action or necessarily be determinative of all of the issues that would be involved in such infringement action. The court acknowledged that there may be some times where deferring a declaratory judgment case until TTAB proceedings have concluded would be more efficient (e.g., where the declaratory action involves an issue of the registerability of a trademark, in which case it would make more sense for the TTAB to decide such an issue). However, the primary determining factor is efficiency (i.e., the district court should exercise jurisdiction if to do so would be more efficient). As such, the court held that district court abused its discretion in declining to hear DermaNew’s action on the basis of the primary jurisdiction doctrine and ordered the district court to adjudicate the lawsuit. One last issue addressed by the court was DermaNew’s request to have the case assigned to a different judge upon remand. See 28 U.S.C. §2106 (remand to a different judge is appropriate if there is evidence of personal bias or unusual circumstances); see also United Nat’l Ins. Co. v. R & D Latex Corp., 141 F.3d 916 (9th Cir. 1998). The court, upon reviewing the evidence, concluded that the assigned district court judge cannot reasonably be expected upon remand to disregard his previously expressed views in this matter. Given the erroneous nature of the judge’s decisions, the court determined that the district court judge would have substantial difficulty in putting his previously expressed views out of his mind. As such, the court vacated the decision and remanded the case back to the district court with the direction that it be reassigned to a different judge, who should exercise jurisdiction over the case. If there is one lesson to be learned from this decision, it would be that you should be careful what any threatening communications during trademark infringement settlement negotiations. In addition, the little trick of putting “written for settlement purposes only and shall not be admissible for any purpose in any legal proceeding” may not provide the type of protection you thought. William Yung, the owner of Columbia Sussex Corp. based in Ft. Mitchell, Kentucky, acquired the Las Vegas Tropicana Hotel and Casino (along with its intellectual property and goodwill) in January when it bought Aztar Corporation for $2.75 billion. Click here for a good background article that ran in the Courier Press regarding the buyout and Bill Yung. 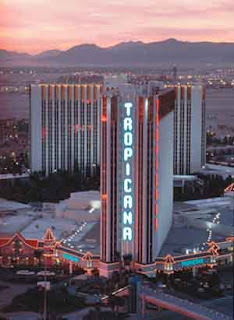 In addition to the Las Vegas Tropicana Hotel and Casino property, Yung's company also obtained two trademark registrations for the name TROPICANA (Reg. # 1572514 for casino services and Reg. # 1530186 covering two classes of services, entertainment services and hotel and restaurant services). The marks were originally registered in 1989 by Ramada Inc., but use in commerce goes back to 1957. Yung apparently wasted no time in asserting his newly acquired intellectual property. The assignments which formally assigned the marks from Aztar to Tropicana Entertainment were not even executed until September 12, 2007, and recorded with the USPTO on September 13, 2007 (links to USPTO Assignments database here and here). Four days later, the company’s first trademark infringement lawsuit was filed. The Business Courier article noted that there are hotels, restaurants and nightclubs all over the world using the name Tropicana, including a Newport, Kentucky business named Jeff Ruby's Tropicana at Newport on the Levee. Ruby's nightclub opened in 2002 and was apparently modeled after the Tropicana casino on Newport's Monmouth Street that closed in the early 1960s. Both the Newport and Las Vegas casinos came along long after 1939, which is the year that the Tropicana Cabaret was established in Cuba. Without seeing a copy of the actual complaint, Tropicana Entertainment is likely seeking injunctive relief to stop Mr. Ruby from using the Tropicana name for his nightclub on the grounds of 1) Section 32 trademark infringement (15 USC § 1114) of Tropicana Entertainment’s registered trademark on TROPICANA for entertainment services; 2) Section 43(a) trademark infringement, false designation of origin, false representation and unfair competition (15 USC § 1125(a)) with respect to Tropicana Entertainment’s TROPICANA marks; and 3) maybe even a Section 43(c) claim of trademark dilution (15 USC § 1125(c)) of Tropicana Entertainment’s “famous” TROPICANA mark. [As a sidenote, on the subject of trademark dilution, check out Michael Atkins’ Seattle Trademark Lawyer Blog (link here) for his discussion of the current state of court interpretations regarding the Trademark Dilution Revision Act of 2006.] Finally, Tropicana Entertainment will probably throw in the usual actual damages, treble damages, costs and attorneys fees. Given the length of time in which both parties have been operating, one fully expects both defendants to assert laches as a defense to these not-so-timely allegations of trademark infringement. Assuming the parties decide to fight it out with Mr. Yung. Several New York State papers reported over the last few days (Times Union, Buffalo News, and Syracuse.com) about a $2 billion trademark infringement lawsuit filed by a Canadian insurance brokerage firm against a Lockport, New York banking company over the name FIRST NIAGARA. On October 10, 2007, First Niagara Insurance Brokers, Inc. (“FN Insurance”), located in Niagara Falls, Ontario, filed a lawsuit in the U.S. District Court in for the Southern District of New York against First Niagara Financial Group, Inc. (“FN Financial”). See First Niagara Insurance Brokers, Inc. v. First Niagara Financial Group, Inc., Case 7:07-cv-08720 (SDNY). FN Insurance is seeking an injunction against FN Financial to stop the company from using the First Niagara name and also seeking $532 million in actual damages (pre-tax net revenues the bank has taken in since adopting the name in January 2000) and treble damages of $1.5 billion. In February 2001, FN Insurance instituted oppositions with the Trademark Trial and Appeal Board (“TTAB”) against FN Financial’s applications seeking to prevent registration on the grounds of Section 2(d) likelihood of confusion. See Opposition Nos. 91122072, 91122193, 91122224, 91122450, 91122712 and 91150237. Meanwhile, on September 27, 2002, FN Insurance filed its own trademark applications, FIRST NIAGARA INSURANCE BROKERS and FIRST NIAGARA (both for insurance agency services), claiming use in commerce back to 1984. FN Financial filed its own opposition against FN Insurance’s application for FIRST NIAGARA INSURANCE BROKERS (Opposition No. 91163457, which was suspended pending the outcome of the other consolidated oppositions) while prosecution on FN Insurance’s other application was suspended. On October 21, 2005, the TTAB, in a precedential decision, decided against FN Insurance finding that FN Insurance could not establish use of its marks for insurance brokerage services “regulable by Congress.” See First Niagara Insurance Brokers Inc. v. First Niagara Financial Group, Inc., 77 USPQ2d 1334 (TTAB 2005) (decision here). In essence, because FN Insurance only offered its services in Canada, and not in the U.S., its use could not constitute use in commerce because Congress does not regulate use in commerce outside of its borders. The TTAB disregarded evidence of FN Insurance’s advertising efforts in the United States as use in commerce within the United States. Without such use, the TTAB found FN Insurance could not establish priority, could not make out a claim for Section 2(d) likelihood of confusion, and dismissed the oppositions. However, that decision was reversed by the Court of Appeals for the Federal Circuit (“CAFC”) in its own precedential ruling holding that the TTAB had used the wrong standard in holding that use must be use “regulable by Congress.” First Niagara Insurance Brokers, Inc. v. First Niagara Financial Group, Inc., Appeal No. 06-1202, 81 USPQ2d 1375 (Fed. Cir. Jan. 9, 2007). The CAFC, finding that FN Insurance had submitted sufficient evidence to demonstrate use of its mark in the United States to satisfy the requirements of Section 2(d), found that the TTAB had clearly erred in dismissing the oppositions and remanded the case back to the TTAB for further proceedings. On remand, the TTAB sustained three of the oppositions in part and dismissed the oppositions in the other three cases. See First Niagara Insurance Brokers Inc. v. First Niagara Financial Group, Inc. (TTAB June 6, 2007) (decision here). The Board found a likelihood of confusion between FN Insurance’s marks and three of FN Financial’s applications when used in conjunction with insurance services (class 36). The court did not find such a likelihood of confusion with respect to the other classes of goods in those three FN Financial’s applications nor with FN Financial’s other three trademark applications (which were directed only to banking services). Both parties have appealed this recent TTAB decision to the CAFC. FN Insurance is apparently not satisfied that FN Financial will continue to use the name First Niagara in association with banking services (which FN Insurance maintains is closely related to insurance services). On the other side, FN Financial is apparently not satisfied that FN Insurance has shown sufficient use within the United States to establish Section 2(d) likelihood of confusion. FN Insurance, however, appears to have gotten impatient with the wait and has decided to take much more drastic action. By going straight to District Court, FN Insurance can seek an injunction to stop FN Financial from using the name FN Insurance. Of course, given the fact that the two businesses have coexisted for some time, FN Insurance may be hard pressed to show that it now faces irreparable harm, much less a strong showing of likelihood of confusion to justify a presumption of irreparable harm in order to obtain a quick preliminary injunction against FN Financial. After all, the TTAB in its second decision found that so-called evidence of actual confusion (the 2600 misdirected e-mails) may have been more the result of confusion over the parties similar domain names and not from a confusion as to source. In addition, the emails were apparently addressed to specific individuals, and not general inquiries searching for insurance policies. There is also some question of whether a presumption of irreparable harm should follow a finding of likelihood of confusion or whether the holding of the U.S. Supreme Court in eBay, Inc. v. MercExchange, L.L.C., 126 S. Ct. 1837 (U.S. 2006), which involved an injunction in the area of patents, has set a new standard by which federal courts should abide in deciding whether to grant injunctions for trademark infringement. For an interesting article on this uncertainty, see “The Unsettled State of Preliminary Injunctions for Trademark Infringement,” Day Pitney LLP Alert (July 26, 2007) (link here). 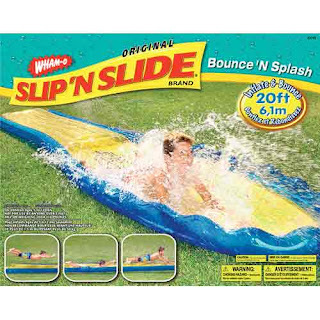 Wham-O, Inc. (“Wham-O”) announced today (press release link) that the company received a favorable jury verdict in its trademark infringement case against SLB Toys USA, Inc. (“ToyQuest”) for infringing the Yellow color of Wham-O’s trademark yellow SLIP N’ SLIDE water slides. See Wham-O, Inc. v. SLB Toys USA, Inc., Case 3:2006cv04551. Wham-O holds two registered color trademarks for its water slides. The primary registration is Reg. 1,432,069 (the mark is the single color Yellow applied to the entire surface of the water slide). The other registration is Reg. 2,924,744 (the mark consists of the color yellow applied to the entire horizontal surface of water slides and the color blue applied to the entire surface of the bumpers for the water slides). The jury found ToyQuest liable for willful infringement, intentional false advertising, and willful dilution of Wham-O’s trademark yellow water slides and awarded Wham-O $6 million in damages. Wham-O’s proclaimed the verdict as a major victory in the company’s ongoing efforts to prevent others from using its federally registered trademarks to deceive consumers into thinking they are purchasing original WHAM-O products. The battle between these two companies has apparently been going on for at least a year-and-a-half regarding Wham-O’s Slip 'N Slide and ToyQuest’s BanzaiFalls water slides. Originally, it was ToyQuest who filed a lawsuit on March 6, 2006 in the U.S. District Court for the Central District of California (SLB Toys USA Inc v. Wham-O Inc., Case 2:2006cv01382) claiming Wham-O was guilty of unfair competition and trade dress infringement for marketing and selling knock-off water slides. 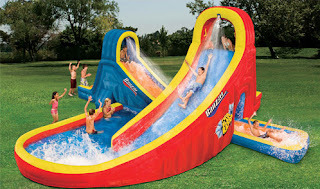 Wham-O then countered with its own lawsuit alleging that ToyQuest’s BanzaiFalls waterslides used similar yellow and blue colors as one of Wham-O’s yellow and blue Slip 'N Slide water slides, on which Wham-O has the aforementioned registered trademark. Wham-O also alleged that ToyQuest was depicting its orange water slides as Yellow on the packaging despite prior representation to Wham-O that it would not depict its water slides as Yellow in color. While the verdict may appear to be a defeat for ToyQuest, the company had an announcement (link here) of its own and actually claimed victory for having defeated Wham-O’s attempt to prevent ToyQuest from using the name “Wave Rider” on any products. 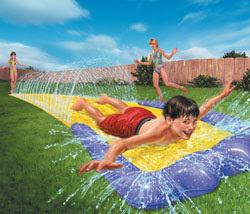 In addition, ToyQuest was found not to have infringed Wham-O’s yellow-and-blue water slide registered trademark. ToyQuest officials also said the company plans to appeal the verdict over the issue of trademark rights to the color Yellow. The Wall Street Journal today ran an article about one of my favorite trademarks – TABASCO®. The article (“Ingredients of a Family Fortune” by Mark Robichauz) reviews a new book by Jeffrey Rothfeder titled McIlhenny's Gold: How a Louisiana Family Built the Tabasco Empire, which investigates and details the history and growth of the McIllhenny family’s famous TABASCO hot sauce. While I am a huge personal fan of the red pepper sauce (going through about 1-2 two fl. oz. bottles per week and even having my own collection of Tabasco items), even I did not realize the interesting history behind the TABASCO trademark until I started writing this blog entry and doing some independent research of my own. McIlhenny Co. generates $250 million in annual revenue with sales in more than 100 countries and profit margins in excess of 25%. The company produces as much as 600,000 two fl. oz. bottles of its famous hot sauce per day. The company remains closely held by approx. 200 shareholders (spread out among the McIlhenny heirs as they were ownership passed down from generation to generation) – even though it has received buyout offers of up to $1 billion. The Company’s classic pepper sauce is made the same way now as it has been for the past 138 years – picking the peppers at just the right time, mixing the pepper mash with salt and vinegar, and the aging the sauce for three years in oak barrels that formerly held Jack Daniels whiskey. Rothfeder’s book of the McIlhenny family and its famous spicy red concoction was written without any cooperation from the family, which may have something to do with Rothfelder supporting a story that runs counter to the McIlhenny family legend of the origins of TABASCO sauce. The official story, which can be read on the TABASCO website (link here), is that Edmund McIlhenny, a Louisiana banker, took some seeds of a Mexican pepper given to him by a Confederate soldier after the Civil War and planted them in his family’s Avery Island plantation as part of a condiment business he began in 1869. Another third party timeline of the origins of TABASCO sauce can be found here (whatscookingamerica.net). Edmund secured a patent in 1870 for a new process of preparing an aromatic and strong sauce from the pepper known in the market as Tabasco pepper. Rothfeder’s story of TABASCO, however, begins pre-Civil War with a New Orleans plantation owner named Maunsel White. Mr. White, famous for his food servings at dinner parties, designed his own sauce made from a pepper named for its origins in the Mexican state of Tabasco and even bottled it for his guests. Mr. White supposedly had been growing Tabasco chili peppers on his plantation since 1849. Rothfeder cites to a letter that appeared in a New Orleans paper about the “Tobasco” pepper being introduced to the U.S. by Mr. White. The company also makes clear that there is no evidence that connects White’s peppers with McIllhenny’s peppers. In 1888, Edmund McIlhenny's pepper was even officially recognized by a noted American botanist and is now classified as Capsicum frutescens var. tabasco. Finally, the sauce recipes created by the two men were different (with White boiling his sauce, while McIllhenny allowed his sauce to ferment naturally). The story behind McIllhenny’s now-famous TABASCO trademark is a lesson in legal persistence. For an interesting read on the subject, check out the excellent series of articles written by Roger M. Grace and published in 2004 in the Metropolitan News-Enterprise (link to the first article here). McIllheny’s trademark registration for the mark TABASCO came just one year after Congress, in 1905, passed the act providing for federal registration of trademarks used in commerce between states that had been in exclusive use for the ten years prior to enactment. Given McIllhenny’s use of the term to identify its pepper sauce, John Avery McIlhenny, Edmund McIlhenny’s eldest son, signed an affidavit stating that McIllhenny was entitled to the registration of the TABASCO trademark under the 1905 Act. Rival companies suspected that a friendship between John McIlhenny and then President Theodore Roosevelt (a second lieutenant in Roosevelt’s Rough Riders) may have influenced the government’s decision to grant the trademark. 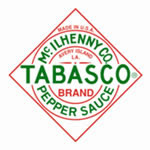 However, the Commissioner of Patents later withdrew the “Tabasco” registration in 1909 based on an alleged false declaration by John McIlhenny because McIllhenny could not claim that it had exclusively used the mark in commerce given the fact that other competitors had used the same term (i.e. McIllhenny had not used the mark exclusively). The action was upheld by the U.S. Court of Appeals for the District of Columbia in 1910. McIllhenny Company was also sued for libel based on circulars titled “E. 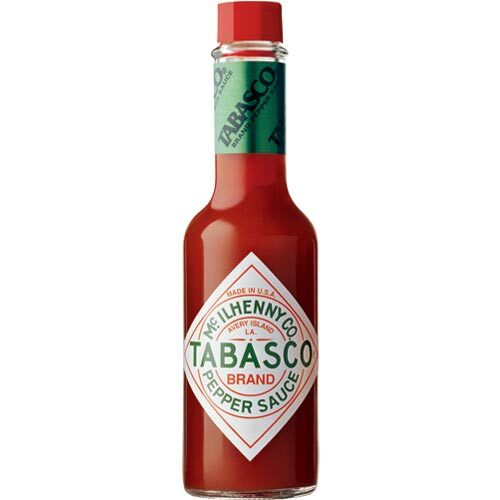 M. McIlhenny’s Son v. Infringers,” which were sent out by the company on July 17, 1906, publicizing its trademark registration and calling anyone else using the term “Tabasco” as an infringer. One competing Tabasco sauce maker, New Iberia Extract of Tabasco Pepper Co., Limited, sued McIllhenny and, in 1912, eventually won $5,000 in damages decision by Louisiana Supreme Court. The same court also determined that McIllhenny’s exclusive right to use the name Tabasco expired with its 1870 patent. However, McIllhenny continued to fight for its right to use the mark exclusively. And on July 29, 1918, the Fifth U.S. Circuit Court of Appeals in Gaidry v. McIlhenny Co., 253 F. 613, recognized McIlhenny as the exclusive holder of the right to sell pepper sauce with the mark “Tabasco.” In short, the court found that despite the geographic descriptiveness of the word Tabasco, it had acquired a secondary meaning to the public as an source identifier, namely identifying McIllhenny’s red pepper sauce. The end result is one of the world’s oldest and most recognizable brands. A link to the original 1906 registration is not available, but based on the prior registrations cited in the oldest TABASCO mark that is viewable through PTO’s TARR database (Reg. # 223,310 for TABASCO, which registered on February 1, 1927), these 1906 registrations are likely Reg. # 53,928 and # 53,929. Another TABASCO trademark is its signature bottle shape (pictured below), which McIllhenny registered on March 15, 1966 (see Reg. # 805,671). On October 9, 2007, Las Vegas Sands Corp. (“Las Vegas Sands”) filed a lawsuit against Joshua Murega, a California resident, in the U.S. District Court for the District of Nevada. A copy of the complaint can be downloaded here (courtesy of me). As most people who live in Las Vegas know, Las Vegas Sands operates The Venetian Resort Hotel and Casino. In addition, Las Vegas Sands holds numerous registered trademarks and service marks for various goods and services that are variants of the mark VENETIAN. See, e.g., VENETIAN, THE VENETIAN, and THE VENETIAN RESORT HOTEL CASINO. Mr. Murega registered the domain names on or about August 29, 2007. On September 25, 2007, Las Vegas Sands’ counsel sent a cease and desist letter to Murega demanding that Murega cease all use of the domain names and that the domain names be transferred to Las Vegas Sands. Murega responded with a letter offering to transfer the domain names “if your response is favorable.” It is not clear from the complaint what, if anything, happened after that. Las Vegas Sands alleges that the domain names were not registered in good faith and that Murega derives income from the links posted on the website. The complaint sets forth five counts: cybersquatting under 15 U.S.C. §1125(d), false designation of origin/unfair competition under 15 U.S.C. §1125(a), common law trademark infringement, deceptive trade practices under NRS 598.0903 et seq., and intentional interference with prospective economic advantage. Las Vegas Sands is asking for an injunction prohibiting Murega from using the VENETIAN mark and from registering any more domain names containing the VENETIAN mark. Las Vegas Sands also requests an order to the domain name registrar of Murega’s domain names transferring the domain names to Las Vegas Sands. Finally, Las Vegas Sands asks for damages (compensatory, consequential, statutory, exemplary, and/or punitive) as well as interests, costs, and attorney’s fees. Focusing on just the § 1125(d) cyber squatting count, the law states that a domain name registrant is liable to a trademark owner if the registrant (i) registers, traffics in, or uses a domain name that a) is identical or confusingly similar to a distinctive mark or b) is identical or confusingly similar to or dilutive of a famous mark and (ii) has a bad faith intent to profit from that trademark, including a personal name, which is protected as a trademark under Section 43 of the Lanham Act. See 15 U.S.C. § 1125(d)(1)(A). It is safe to say that Mr. Murega has registered and is using a domain name that is confusingly similar to and possibly even dilutive (for some of the domain names) of a famous mark. So his liability for cybersquatting rests of the question of bad faith. The law sets forth the nine factors that courts can consider in determining whether a person had a “bad faith intent to profit.” See § 1125(d)(1)(B). However, Mr. Murega may be setting up to assert a “fair use” defense. I did not download all of the exhibits to the complaint, and therefore, do not know what the websites looked like before today. But when I visited a few of Murega’s sites (the few that were even working), what I discovered was a page with a 10 second countdown that said “You Are Being Redirected to The . . . .” (origin of gaming, beautiful city of the world, etc.) On this page (for at least one of the sites), there was a Vegas.com banner ad that one could click on. Then after the 10 second countdown, a page appears providing eleven paragraphs of factual data about Venice. If you are really curious and have to see it to believe it, click here and have a good laugh at a web page that looks like it was put together by a 12-year old. Very clever, Mr. Murega. But judges are not as naïve as you may think. They have a great deal of discretion in this area, and will likely see this lame attempt to make some “fair use” out of your website as further evidence that your original registration of such domains was indeed in bad faith. I would be surprised if Mr. Murega even answers the complaint. If he does, I would suspect it will be “in pro per” as I doubt any attorney would want to represent Mr. Murega in defending his domain names – at least not without making sure to get a large retainer upfront. As for why Las Vegas Sands did not first pursue arbitrations under ICAAN’s Uniform Domain-Name Dispute-Resolution Policy, the most likely reason is that Las Vegas Sands wanted a legal order in place that it can assert to prevent Mr. Murega , under penalty of the law, from ever doing this again. After all, now that Las Vegas Sands has opened The Venetian Macao, Mr. Murega may try again. http://www.venetianmacaocasinos.com/ is available! To be Ric Flair, you gotta beat Ric Flair . . . in court. MyrtleBeachOnline.com ran a story today entitled “Wrestler smacks S.C. car dealer with lawsuit” about a lawsuit filed by a World Wresting Entertainment (WWE) wrestler against a South Carolina car dealership. On October 4, 2007, Richard Fliehr, better known to WWE fans as Ric “Nature Boy” Flair, filed a lawsuit in the U.S. District Court for the District of South Carolina against Stivers Automotive of Columbia, Inc., the owner of a Columbia, South Carolina car dealership named Freedom Suzuki which allegedly used Flair's name, likeness and slogans in some of its car advertisements without Flair's permission (see Case Number 3:2007cv03315). The car dealership allegedly used two of Flair’s famous catchphrases "Woooooo!" and "To be the man, you gotta beat the man!" One radio ad had a character named Captain Freedom saying “Whoeee ... To be the man you got to beat the man! Ric Flair was right all you other car dealers out there." Captain Freedom also told listeners to "Come check out me and the WWE" at the Colonial Center on Aug. 21, which was around the time when Flair was scheduled to appear at a WWE event at the Colonial Center. According to Flair’s lawyer, Stivers Automotive apparently contacted the WWE to get permission to use Flair’s name in their ads, but permission was denied. Without seeing the complaint, its not clear if Flair is alleging Section 43(a) false designation of origin or a state-law based right of publicity filed in federal court on the basis of diversity jurisdiction, which would explain why he is seeking actual and punitive damages of more than $75,000. As most people familiar with the WWE (formerly WWF, which is an interesting trademark story of its own) know, Mr. Flair does not hold the trademark to his own name, or at least not the one under which he wrestles. That would be the intellectual property of World Wrestling Federation Entertainment, Inc., which holds the trademark RIC FLAIR for clothing, for various toy items, and, most importantly, for entertainment services, namely wrestling exhibits and performances by a professional wrestler and entertainer. The Newport News Daily had an interesting article today titled “Hey ASU, it's called being generous” (link here) about the efforts by attorneys for Arizona State University to stop a Virginia Beach high school football team from using the name Sundevils for its football team. Similar articles also appeared from The Arizona Republic (here) and from ASU’s own online paper (here). In a cease and desist letter sent to Salem High School, ASU alleges that the high school’s football team name, the Sundevils, infringes upon ASU’s registered trademark, SUN DEVILS. The Arizona Board of Regents, on behalf of Arizona State University, holds several trademark registrations on the word SUN DEVILS, including for T-shirts and other clothing; for mugs, cups, etc. ; and for publications concerning the University. It is interesting to note that the one registration held by ASU which actually covers sponsoring athletic events is SUN DEVIL (no “S” at the end”). The high school’s president, Donald Robertson, apparently wrote back to ASU arguing that there is no likelihood of confusion between ASU’s mark and the name of Salem’s high school team. The school uses the name as one word, SunDevil (as in the name of the street, SunDevil Street, where the school was built on) as opposed to ASU’s spelling using two words, Sun Devil (a reference to the weather phenomenon). The school’s logo is a red sun, which is far different than ASU’s famous “sun devil” mascot, nicknamed Sparky. In addition, apparently several other schools use the name or a derivation of SUN DEVILS, including two California schools and one in Colorado. The article notes that the name Sparky is not trademarked by ASU, but rather actually belongs to the National Fire Protection Association, Inc. for their own Dalmation mascot). With a little coaxing from the article’s author, Dietrich, the NFPA’s president said he would consider (with a slight grin and chuckle) sending ASU its own cease and desist letter. But given that the SPARKY word mark held by NFPA covers promoting public awareness and understanding of fire prevention and protection, ASU could probably register the same name itself for its own goods and services – if not under §1, then certainly under §2(f) given the notoriety of the name as used in conjunction with ASU’s mascot. While ASU may have overlooked registering the SPARKY name, they certainly did not overlook getting registrations for the Sparky logo (pictured above) covering the same categories as the SUN DEVIL mark: T-shirts and other clothing; mugs, cups, etc. ; publications concerning the University; and sponsoring athletic events. In addition, ASU did obtain a registration for TEAM SPARKY (for sponsoring intramural, intercollegiate and exhibition athletic and sporting events). While any trademark attorney can appreciate ASU’s position in policing the use of a team name that is much more distinctive than such common team names as Wildcats, Rangers, or Cowboys, one does have to wonder why ASU waited nearly 19 years to take action against the school. Is this really about protecting ASU’s valuable intellectual property or another case of a “brand name bully.” (Click here for a good article in The Southeast Texas Record by John G. Browning titled “Legally Speaking: Brand Name Bullies” talking about the growing trend of big companies wielding their trademark portfolios against individuals and small businesses). After several days of very lengthy (and admittedly very verbose) blog postings, I’m scaling it back a bit today with a brief mention of a new trademark blog of which any trademark fan should be aware. As a new blogger myself, I appreciated the nice praise I initially received from fellow trademark blogrades – and of course, continued compliments are not a bad thing (thanks going out today to Ron Coleman’s Likelihood of Confusion® for his modesty over some “fowl” language in one of my recent posts). For this reason, I want to do the same whenever I come across a new trademark related blog that I feel has great promise. The site is http://www.trademork.com/. It describes its purposes as “a blog dedicated to shining a light on interesting, odd and controvertial [sic] trademark filings. That’s how we roll.” The site is fairly new and shrouded in a little of mystery – the author is the mysterious “Mork.” (Even the domain name whois information is protected by privacy guard service). What “trademork” lacks in substantive content it makes up for in interesting finds among the many trademark filings done on a daily basis, a great website name (that might even be eligible for registration on the Principal Register), and a neat-o logo. Some interesting recent posts include 4:19 (for shirts – click here for actual trademark application) and FART TONES (for downloadable ringtones – click here for actual trademark application). With its short, concise posts (maybe I should take a lesson) and the fact that there is never a shortage of material on which Mork can post, Trademork is a blog with all the right elements. I’ve added it to my favorites list. A few small bits of unsolicited advice – given that your posts are fairly succinct (admittedly unlike my own), please allow the full post to be viewed when on the home page – as opposed to having to click each individual Permalink to see the full post. I also think that people, trademark practitioners especially, would appreciate if you provide a link to the TARR status of the marks on which you blog (similar to what I have done above). I could do without the ads, but if it helps pay the bills, so be it. And finally, while I admire the clever misspelling of the word “trademark” to arrive at your blog name, I don’t think your intentions were the same with the word “controvertial” (which is spelled “controversial.”). Note to Cybersquatters: www.trademindy.com is still available! And while you’re at it, www.trademorkandmindy.com is available (although Paramount Pictures may have an issue with that given this). On October 2, 2007, Fronteer Directory of Nevada, Inc. (“FDN”) filed a lawsuit in the U.S. District Court for the District of Nevada against Steve W. Sanson and Fronteer Yellow Pages, LLC, alleging trademark infringement and unfair competition under §43(a), common law trademark infringement, conversion, tortious interference with a prospective economic advantage, and breach of loyalty. The complaint seeks injunctive relief, profits, treble damages, and attorney’s fees. A copy of the complaint can be downloaded here (courtesy of me). As many Las Vegas residents know, the Fronteer Directory is that miniature yellow pages that shows up on our doorsteps once a year and provides a more compact alternative yellow pages to keep in you car compared to the “other” bulky yellow pages book. FDN has been publishing the Fronteer Directory since 1995. The cost of producing the directory is paid for by advertisers appearing in the directory – both national accounts and local accounts. The directory is typically published once per year with printing done in three split runs approx. two weeks apart with each run producing about 200,000 directories. FDN relies upon the national accounts for the funds to produce the first run of directories and the local accounts for funds to produce the second and third runs. Sanson was originally hired by FDN as a sales employee, and later became FDN’s “credit manager” in charge of pursuing collection lawsuits against advertisers failing to pay their accounts. He has his own website - http://www.stevesanson.com/index.htm - where he promotes himself and his experience with small-claim debt collection in Nevada (much of which he gained while employed with FDN). According to the complaint, FDN’s President (noticeably never mentioned by name in the complaint) met with Sanson sometime in April 2007 regarding buying the company, around the time when FDN was about to begin producing the 2007 edition of the Fronteer Directory (supposedly a good time to sell the business). When Sanson allegedly could not meet the terms of the deal and no sale ever occurred, FDN moved forward with producing the 2007 edition of its telephone directory. FDN and Sanson also agreed that he would no longer be employed by FDN after June 28, 2006, and that they would work out an independent contractor arrangement thereafter. 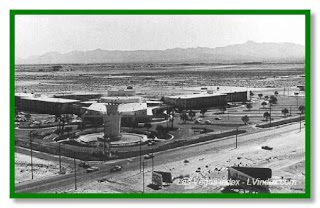 In addition, in order to reduce overhead, FDN moved out of its month-to-month leased office space in Henderson, Nevada, and agreed with Sanson to move FDN’s office to Sanson’s personal residence, with telephone and fax lines forwarded to Sanson’s residence. FDN and Sanson agreed that Sanson would continue to handle billing statements and bank deposits on a daily basis and would continue to monitor FDN’s post office box. Unbeknownst to FDN at the time, on June 4, 2007, Sanson filed Articles of Organization with the Nevada Secretary of State for Fronteer Yellow Pages, LLC. Sanson subsequently opened a bank account “doing business as” Fronteer Directory Company of Nevada, although no such Fictitious Firm Name appears on file with the Clark County Recorder’s office. When FDN confronted Sanson about the new checking account after discovering some blank checks and bank statements, Sanson allegedly indicated he wanted to start a telephone directory for the year 2009. The complaint alleges that Sanson converted FDN’s telephone number by changing the contact information to his own without FDN’s authorization, thereby preventing FDN from managing the account. Sanson opened a second post office box under FDN’s name without FDN’s authorization and had mail forwarded from FDN’s original post office box to this second post office box. When FDN discovered the second post office box, FDN directed Sanson to cancel the box. The complaint further alleges that Sanson received several checks from advertisers, but did not deposit them into FDN’s bank account and instead converted them for his own benefit. Around July 20, 2007, FDN informed Sanson that it intended to sell the company to another interested buyer that had expressed its interest with a written letter of intent. At this point, I must digress from the details of the complaint to focus on the very public battle that began to play out around this time in the media and online, which also provides some insights into how Sanson is likely to answer FDN's complaint. On July 24, 2007, Channel 3 News (KVBC, the local NBC affiliate) ran a story titled “Are Fronteer phone book advertisers getting what they paid for?” News 3 reporter Jesse Corona interviewed George Chehade, a former sales manager for FDN. Chehade told Corona that FDN has promised advertisers that 600,000 copies of the “valley-wide” directory would be published. But according to Chehade, only ¼ of the total 600,000 directors for 2007 were printed, while the owner of FDN continues to collect money from advertisers. Chehade suspected there was a problem when only 150,000 directories were printed and shipped in June. FDN’s owner, Albert Holtan, apparently informed Chehade that the company was shutting down. When Chehade asked about the remaining directories, Holtan said not to worry. Holtan then fired all the employees and closed FDN’s doors. Holton told News 3 that he relocated his office to his home and says he is not closing the business. Meanwhile, Holton continued to bill advertisers. Sales representatives informed their former clients about the situation, and several customers have said they no longer want to pay for an ad that only reached about one quarter of the audience they were promised. Holtan told Corona there was an issue with former employees stealing from him, but did not given any details about the theft or how it may have impacted printing. On July 26, 2007, News 3 ran a follow-up story titled “Investigators seize Fronteer Directory's financial, business records.” Jesse Corona reported that the Nevada Attorney General's Office had seized the financial and business records of FDN and Albert Holtan by executing a search warrant on Steve Sanson’s home and seizing computers, hard drives and all business records and bank statements dealing with Albert Holtan and FDN. The news report noted that the publicity still has not stopped Holtan from continuing to bill advertisers who were promised 600,000 copies of the Fronteer Directory would be distributed valley-wide. FDN apparently has filed 711 cases in small claims court against advertisers since January 1, 2000. The report noted that many of the cases were filed by Sanson. Corona contacted Holtan, who said he was not closing the business, but had simply relocated his office to his home – a mansion nicknamed "The Castle" located in the luxury area of Lake Las Vegas and which is listed for sale for almost $5 million (see listing and link to virtual tour here courtesy of yourvegashome.com). Chehade suspects that Holtan is planning to collect as much money as he can from advertisers before leaving town for good. Finally, on August 20, 2007, News 3 ran a third follow-up story titled “Former debt collector speaks out about Fronteer phonebook investigation.” This time, the person speaking out to Jesse Corona was Steve Sanson himself. According to Sanson, he has filed over 2,300 lawsuits against advertisers while he worked for FDN as its credit manager and in-house debt collector. Sanson now claims to have been manipulated by Holtan. Supposedly, Holtan expected Sanson to continue to file lawsuits against non-paying advertisers for the total amount owed (approx. $1.5 million) despite having only printed 150,000 copies of the 600,000 copies promised to advertisers. Sanson says Holtan strung employees and advertisers along for months with promises that more directories would be printed, only to then fire everyone and relocate the business. Sanson acknowledges that the phone lines, the fax lines, the computers were all moved to his house, but he says that once he realized Holtan planned to take the money and run, he notified the Attorney General's Office, which then executed search warrant and seized all of the business records from his house. Sanson said that he had already collected almost $700,000 before the Attorney General's investigation closed him down. On the heels of the August 20th News 3 story, Sanson, on August 24, 2007, published a lengthy article on LibertyPost.org titled “The Untold Story of Fronteer Directory Yellow Pages!” detailing his version of events and providing a very detailed history of the company. He posted an abridged version of his article on a Las Vegas Review Journal “eforum” website (link here) on September 15, 2007. In his online posting, Sanson asserts that the deal to purchase FDN fell apart because Holtan was unwilling to show federal tax returns, balance sheets, and corporate records and because the potential investors felt Holtan was hiding something, which apparently turned out to a liability of $753,000 for the printing bill for the 2006 directories on top of a $273,000 owed by FDN for the 2007 printing, the latter of which Holtan claimed was the business’ only outstanding liability. Sanson also notes that the 2007 Fronteer Directory did not have the words “Serving the Entire Las Vegas Valley” on the cover, which may have been some last minute attempt by Holtan to excuse the well-under 600,000 production that Holtan was planning. Sanson’s article does not explain why he organized Fronteer Yellow Pages, LLC nor does he provide any facts to explain the bank account. On September 12, 2007 (according to the complaint), Sanson sent a letter out to FDN’s advertisers asserting that FDN had misappropriated such advertisers’ funds and would continue to do so for the remainder of the year. The above media coverage is the basis for FDN’s allegations in the complaint that Sanson, during the months of July, August, and September, contacted the Nevada Attorney General’s office, contacted a local TV station, and wrote multiple articles, posted on various internet sites, stating that FDN mislead and defrauded advertisers and intended to shut down its business. One final curious addition to the complaint is that on August 10, 2007, Sanson contacted FDN seeking $4600 for work performed in July and August related to Sanson’s continued efforts to pursue collections. FDN supposedly informed Sanson at that time that he was not authorized to act on behalf of FDN. Nonetheless, on August 17, 2007, Sanson sent a demand letter on behalf of FDN to one of the advertisers that was past due, and on August 31, 2007, filed an action in Clark County District Court. While there may be many parts of the complaint that are factually inaccurate, this last one is easily contradicted. While many of Sanson’s past complaints were filed with the Las Vegas Justice Court, those court filings cannot be searched online. However, filings with the Clark County District Court (which hears claims exceeding $10000) can be seen online (link here) and the system shows one case filed on August 31, 2007, by Fronteer Directory Co Of Nevada Inc. against the Law Offices Of Barry Levinson (Case No. 07-A-547429-C). However, FDN’s counsel is listed as Charles M. Damus of Charles M. Damus and Associates – not Steve Sanson. And that’s the whole story (so far) leading up to and including FDN’s complaint. Focusing just on the trademark aspect of the case, Sanson does not appear to have used the mark on any such goods (telephone directories) . . .at least not yet. Thus, without additional factual allegations, FDN does not appear to have a strong claim for any money damages based on its claims of trademark infringement and unfair competition by Sanson. As for injunctive relief, FDN’s claim may have some merit to the extent that Sanson was going to continue his business plans and put out the Fronteer Yellow Pages (as the name of his LLC would suggest) as a competing directory. However, without a federal trademark registration, FDN’s trademark rights to the FRONTEER mark exist only so long as FDN legitimately intends to use the mark in commerce. An issue in dispute may likely be whether FDN has abandoned its directory business, and in effect, abandoned its trademark rights to the FRONTEER mark. I suspect that Sanson’s LLC may have just been his efforts to get prepared to take over the business – either through a buyout (using this LLC as the buyer) or as a new operating entity to continue publishing the Fronteer Directory after FDN goes out of business. Quite frankly, after all of the coverage that the Fronteer Directory has had, one wonders whether Sanson would even want to use the mark FRONTEER on his phone directory. So long as Sanson puts out a compact yellow pages much like what FDN published, people will continue to put them in their cars no matter what they may be called. With respect to the other parts of the complaint, it’s not clear at this stage if the complaint is legitimate or merely FDN’s attempt to try and to stop Sanson from his media campaign. However, Sanson seems like he can handle himself in a courtroom, so I cannot imagine that he will back down from a complaint such as this. If anything, it gives him another avenue towards letting the public know the truth about FDN.